Springs are essential components on a trampoline as they are the components which give a trampoline its bounce. Time and use can stretch the springs and make you trampoline less dynamic.. 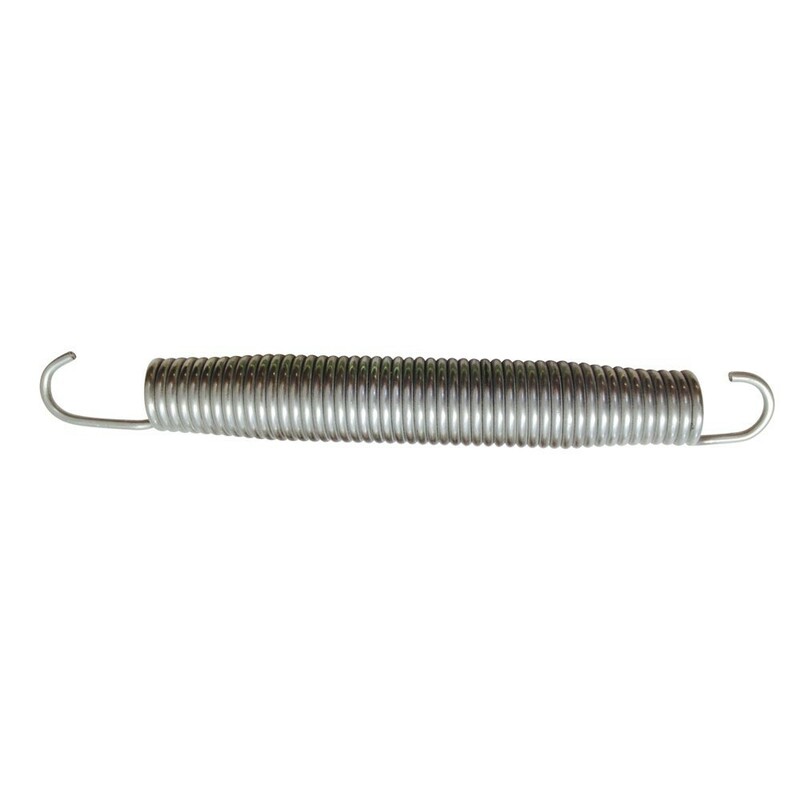 Thanks to a large selection of spare parts, France Trampoline can provide you with 215 mm long springs. - These springs are adapted to our Jump’in ground, Pro One or Aero trampolines. - This measurement includes all of the coil and the two hooks, once the spring has been removed from the trampoline. - These springs have been treated against corrosion so that they can be used outside without getting damaged. - The steel wire measures 3.2 mm in diameter and the coil 30 mm in diameter. These characteristics give the necessary power for children and adults to bounce with ease. - To attach a spring to your trampoline, one hook must be attached on the jumping mat and the other on the steel framework using a special tool, in order to protect yourself from injury.